A battery is any device that converts chemical energy to electrical energy. In other words, chemical reactions occur which result in electrons being moved in one direction and thus used as electricity to power something. Most of the batteries, whether it be mobile batteries, MP3 player batteries or any other battery, they have terminals. A Battery usually requires two terminals or pins for charging. However, with time the batteries are changing and now we have 3 or 4 pin batteries. The modifications in these batteries provide extra features and support better charging control. 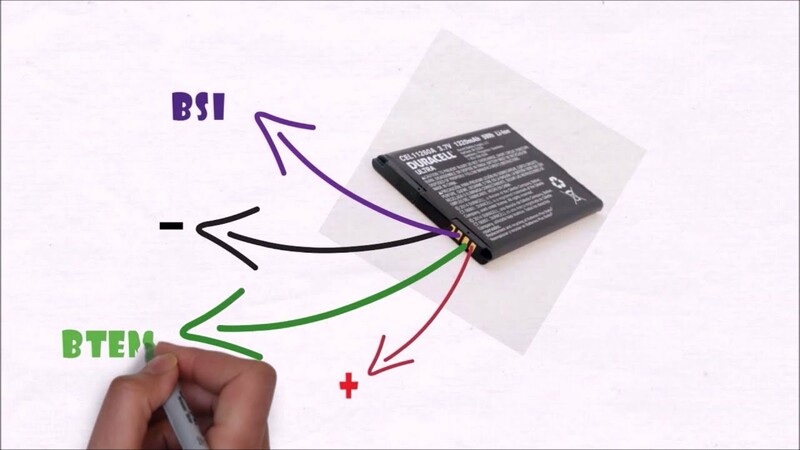 In this article we will get to know pin functions of 2, 3 and 4 terminal mobile batteries. A battery is any device that converts chemical energy to electrical energy. In other words, chemical reactions occur which result in electrons being moved in one direction and thus used as electricity to power something. Most of the batteries, whether it be mobile batteries, MP3 player batteries or any other battery, they have terminals. A Battery usually requires two terminals or pins for charging. However, with time the batteries are changing and now we have 3 or 4 pin batteries. The modifications in these batteries provide extra features and support better charging control. 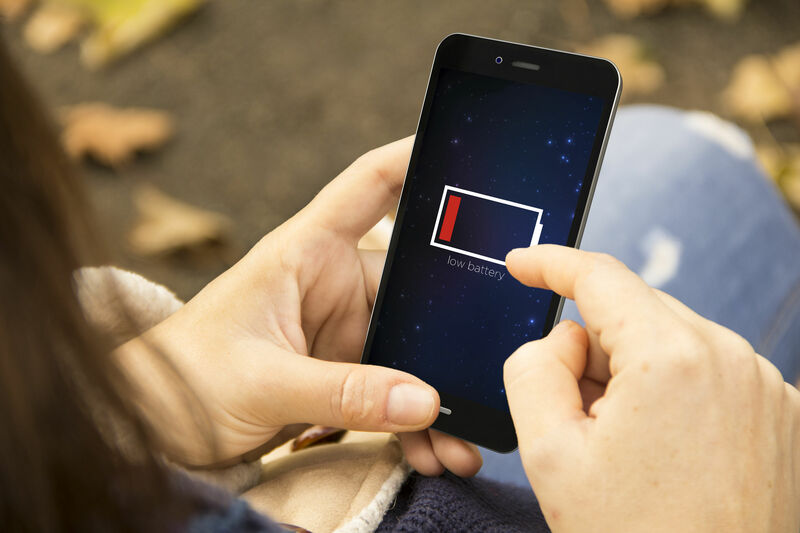 In this article we will get to know pin functions of 2, 3 and 4 terminal mobile batteries. In a 2 pin battery there are two handy electrical terminals (VBAT and GND), marked with a + (positive) and -(negative) on the outside connected to the electrodes that are inside. When you connect the electrodes into a circuit, the electrolyte starts buzzing with activity. Slowly, the chemicals inside it are converted into Ions that take part in chemical reactions with the electrolyte. At the same time, electrons march from one terminal to the other through the outer circuit, powering whatever the battery is connected to. This process continues until the electrolyte is completely transformed. 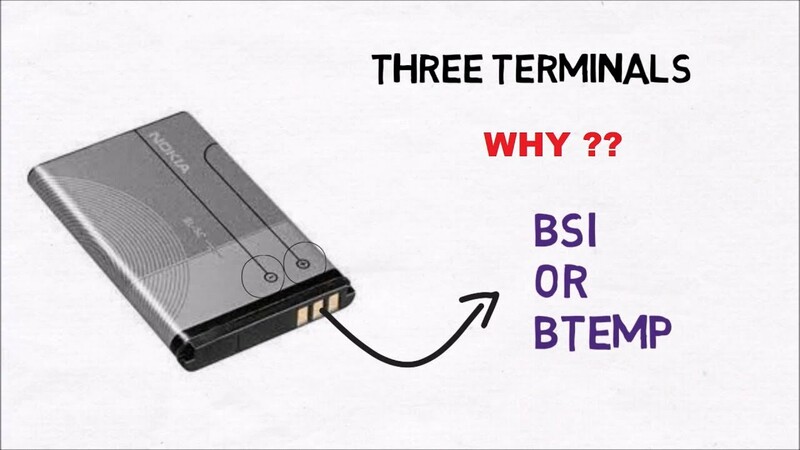 A 3 pin battery has and + (positive), a – (negative) and an internal temperature sensor marked as T. The 3rd pin can be a BSI (Battery Status Indicator) for battery type and capacity or BTemp (battery temperature) for an internal temperature sensor, to ensure safety during charging, based on this, charging current and status is controlled to ensure longer battery life. There are some phones with shorter BSI pin. This is to ensure that when the battery is removed even if phone was on, the BSI circuit interrupts first, which tells the processor to shut down all communication to prevent damage. A 4 pin battery basically is the best battery, it has the (positive), a – (negative) terminal, an internal temperature sensor marked as T which is the or BTemp (battery temperature), to ensure safety during charging and lastly the BSI (Battery Status Indicator) for battery type and capacity, which is to ensures to prevent any damage to the battery even when the circuit breaks.